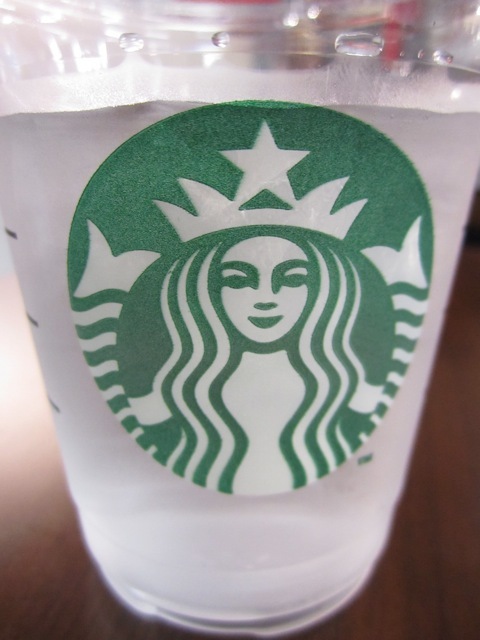 Today I came face to face with the new Starbucks Logo and my immediately feeling was discomfort. Ok, I don’t know how I truly feel about it just yet. It’s cleaner, but it feel’s like there’s something missing. There is no more ring around the mermaid or twin tailed mermaid or siren (dangerously seductive enchantress from lore) as some argue. I think I don’t really like change. Prefer the old logo, but maybe because I was just so used to it. Looking at all the designs I think the original brown one looks the coolest. I guess I’m a sucker for vintage, although it may have been changed for being too sexually suggestive. If that’s so, I like it even more. Back to the Starbucks logo, it’s claimed that the new logo liberates the Siren from the ring, but I see it as zooming in on the logo just like Nike did and ending up with a swoosh. I guess I’ll just have to let it grow on me. This entry was posted in Blogging & Writing and tagged audience, blog, blogging, brown, change, changing, green, logo, marketing, mermaid, new, new logo, sexually suggestive, siren, Starbucks, theme, Themes, Twenty Ten, unfamiliar, WordPress. Bookmark the permalink. Very interesting and wow, a new look logo for Starbucks. Any idea what a mermaid has to do with coffee? Am I missing something painfully obvious? As a writer, though, I can tell you that there is a lot more to her than just the design and how she looks. This is what she means to me, and to us. I was looking at the logo and it looks like each year the siren mermaid thing is getting bigger, like it is going to jump off the cup. And swim right back into the water. I was living in Los Angeles at the time the first star bucks came out there. I remember seeing that logo actually in LA Weekly, a info free mag on corners. Then, suddenly, there were like six star bucks at all of the cool corners. Now I think everyone’s caffeine addiction has taken over and that’s why the company continues to grow. We don’t have Star Bucks in Italy BUT I’d like to say that my students like to wear their shirts. I suppose they know something cool when they see it. 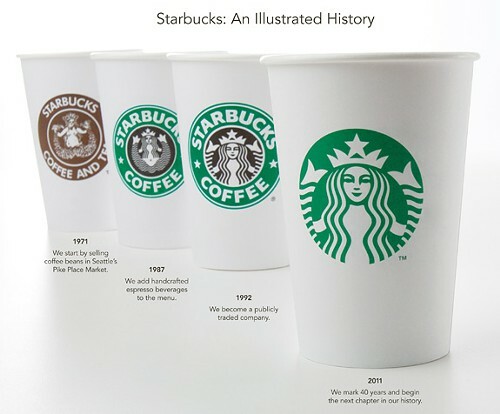 I think Singapore only got Starbucks when it had the previous logo…we missed the first 2. I do like the brown one a lot. Just seems more mystical.